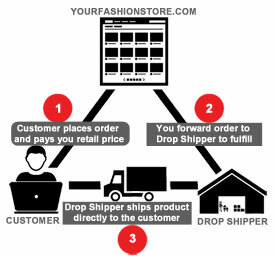 Drop shipping is a retail fulfillment model that provides wholesalers with an effective way to partner with online retailers by offering their products on the retailers' websites. As consumer interest for purchasing online continues to grow, so too can your business. The challenges for most brands and distributors include managing inventory for their online retail partners, shipping in a cost-efficient manner, keeping up with the technology requirements of the retailers and fulfilling order volumes that can change on a daily basis. With today’s fast paced technologies, communication with your e-commerce retail partners will continue to be more demanding. While many retailers' online portals allow you to receive and update information manually, the increased demand and volume of the retailer's orders coupled with running a business that also ships hundreds of brick and mortar locations is not likely to be a sustainable model. RLM has developed its quick response technology platform which eliminates the need for manual interaction with drop ship partners like those listed on this page. Our QR system automates the order-fulfillment process and inventory communication to the online retailer, while also providing the communication the retailer requires for order updates, shipment notifications, invoices, inventory balances, and more. Integrated email alerts notify your users and enable them to assume a manager level role as opposed to the more time consuming, data entry role that can lead to bottlenecks, lost sales and poor customer service. With RLM's QR System for drop shipping, you'll realize the return on investment that can fuel business expansion in today's ever-changing marketplace. When considering a drop shipping strategy, it’s important to take into account the expectations of your customer and their buying behavior, as well as what technologies and third-party assistance may be required to successfully implement the strategy. RLM Apparel Software can help your business take advantage of all of the above benefits and differentiate from the competitors with RLM’s Drop Shipping integration solutions. Contact us today to find out more. EDI 850 - Automatic retrieval of orders from the Retailers Platform are quickly turned into pick tickets to your warehouse to start the fulfillment process without any intervention. Email Notifications – As orders are downloaded and processed in RLM, email notifications are sent each step of the way updating users. Fill or Kill Policy EDI 855 - RLM will transmit back an 855 to the Retailers Platform consistent with the requirements of the retailer. This notifies the Retailers Platform that you will be fulfilling the order automatically. The 855 will either confirm the order (inventory available and shipping initiated), or it will indicate you don’t have inventory for a particular item and automatically triggers cancellation of the order in RLM. The Retailers Platform then creates a new PO to RLM for the items that are available in inventory. EDI 870 Cancellations – For Retailers where it is required RLM can auto generate an EDI 870 cancellation notice to Orders that cannot be fulfilled. UPS, Fedex, Small Parcel Shipping Integration – RLM’s WMS Express and Enhanced can connect to your Small Parcel Shipping service and adhere to the needs of your B2C Drop Ship Orders. Customer Address information is automatically fed into our Small Parcel Shipping software like UPS Worldship or Fedex from the RLM Packing module. This automatically generates a Label and retrieves a tracking #, and opens a pick up request with the Small Parcel Shipping Service. EDI 856 Advance Shipping Notice – Shipping out of your warehouse triggers RLM to generate an ASN to The Retailers Platform with tracking # information and carton details so they can notify the customer of the order shipping. EDI 810 Invoice – RLM also will automatically transmit your 810 EDI invoice to The Retailers Platform to adhere to their requirements so you can receive your payments. Inventory Feed to the Retailers Platform – With RLM Apparel Software, you can indicate the items that are available for drop shipping. RLM can automatically transmit your inventory availability to streamline the process of what’s available to be sold.